Sit back, take a deep breath and relax. Beautifully renovated day spa, conveniently located downtown Calgary across from the LRT platforms on the main floor of Elveden Centre. 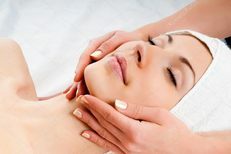 Come in and enjoy our serene atmosphere, soothing music and expert massage and aesthetics services. Our goal is to listen to your needs and personalize every experience. 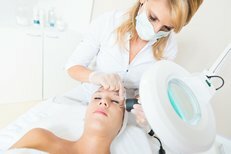 Anti-aging procedures, Facials, Micro-blading, Waxing, Tinting & Pedicures are all offered by our aesthetician. Our Reiki Master can balance your mind and body. Our Registered massage therapists perform relaxation, sports, jade stone, maternity and deep tissue massage. Book your free consultation on any service to receive more information. “As a massage therapist myself, I look for a firm massage and someone that listens to my muscle issues.